Nuts and Seeds | Naturally. Nuts and seeds take up a reasonable amount of space in my pantry. Between snacking, baking, and cooking, nuts and seeds are both versatile and delicious. There are so many kinds, it is hard to pick a favorite. You can swap most of the nuts and seeds I use in these recipes for others, depending on what you prefer. It’s also great to experiment with different flavors and textures of nuts and seeds! Living in California, I’ve learned a lot about almonds over the years. Recently, they have developed a bad rap for being a water-hungry crop. However, the reality is that other crops and livestock that consume just as much (or more) water. While I do consume dairy, I like to have almond milk on hand for a nice coffee addition or morning bowl of oats. In fact, the nutty flavor is sometimes just what I’m looking for. Almonds are actually the seed of a fruit, not a scientific ‘tree nut.’ However, they cook and eat like a nut, and so they are considered a culinary nut. Almonds can come shelled, unshelled, blanched, sliced, and in flour form (popular in Paleo recipes). I keep a stash of raw shelled almonds for use in homemade almond butter, almond milk, chopped in salads, and as a finishing sprinkle for many meals. If you plan on using almonds within a couple weeks of purchase, store in the pantry. For longer storage, keep in the refrigerator or freezer (up to a year). Cashews, like almonds, are technically a seed. However, because they act like nuts, they are classified as culinary nuts. If you’ve never seen the whole fruit, the cashew nuts grow attached to a cashew apple and directly below the fruit. Cashews have a higher water content than some other nuts which means they puree more smoothly. As a result, these nuts are a goldmine for vegan recipes. Cashew butter is usually thinner than other nut butters. Therefore, cashews make a great base for rich, vegan sauces. Buy fair trade cashews if you can. 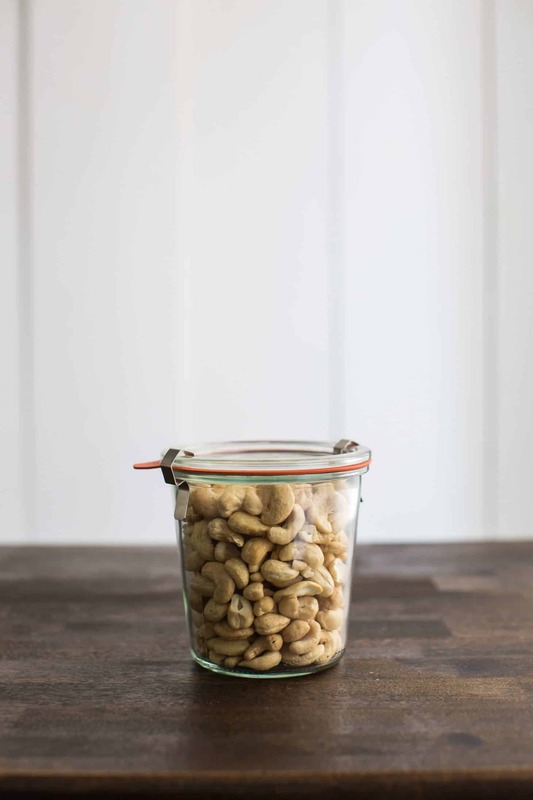 Most cashews are grown outside the United States and are a tough nut to harvest. It’s likely that you’ve heard of chia as being one of the trendy ‘it’ ingredients. Chia seeds are part of the mint family and typically grow in Central America. These tiny seeds pack a nutritional punch and are used in numerous recipes. 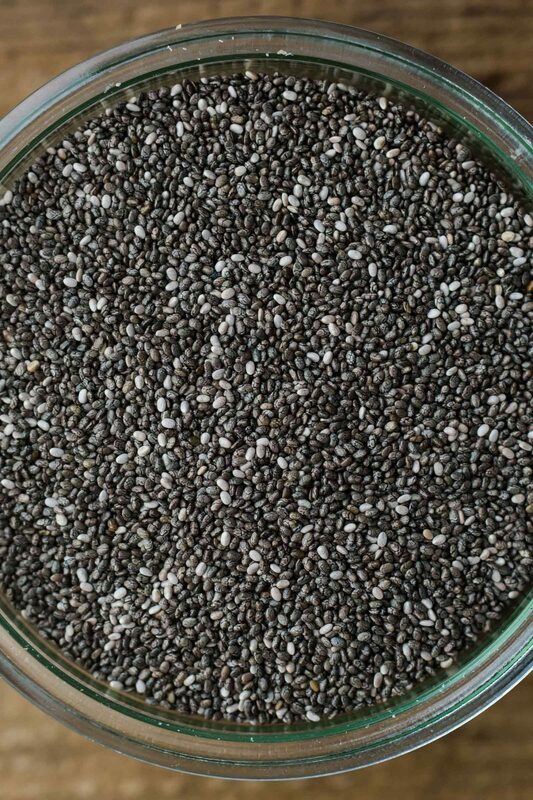 In fact, you can use chia as an egg replacement. This is because they start to congeal when chia seeds interact with any kind of moisture. I like to keep chia seeds on hand for use in granola, jams, puddings, and as a topping for yogurt. Ground chia also works well as a binding agent and I’ll occasionally use them in place of breadcrumbs in cakes/patties. The flax plant is mostly grown for producing oil but flax seeds are commonly used in crackers, breads, and granola. The oil, on the other hand, can be great for seasoning your cast iron. Whole flax seeds store well but ground flax seeds should be stored in the fridge or freezer as they can go rancid very quickly. I keep flax seed on hand for topping oatmeal, yogurt and as a binding agent for vegan pancakes. Flax is best when used ground because our bodies cannot process the whole flaxseed (meaning you miss all that good nutrition). Look for either brown or golden flaxseeds in the bulk bins. One of the true tree nuts, hazelnuts (also called filberts) are the nuts of the hazel tree. These nuts have three layers: the husk, the tough shell, and a darker skin. The nuts fall out of the husk and are shelled before reaching the market. Some recipes require that you skin the hazelnut before using them. But for the most part, I use the whole hazelnut (skin and all). 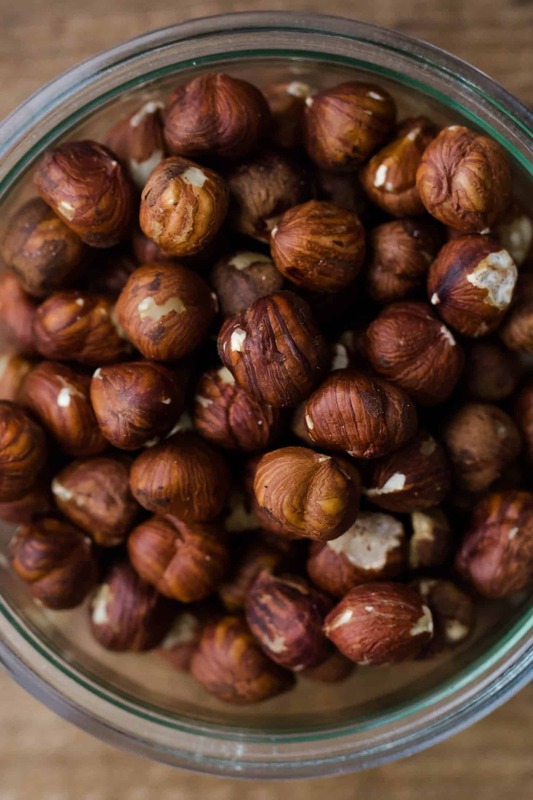 Hazelnuts are a nice topping for yogurt, delicious in baked goods, and quite lovely as a nut meal. I prefer to store hazelnuts in the freezer for longer shelf-life. At room temperature, hazelnuts can go rancid. 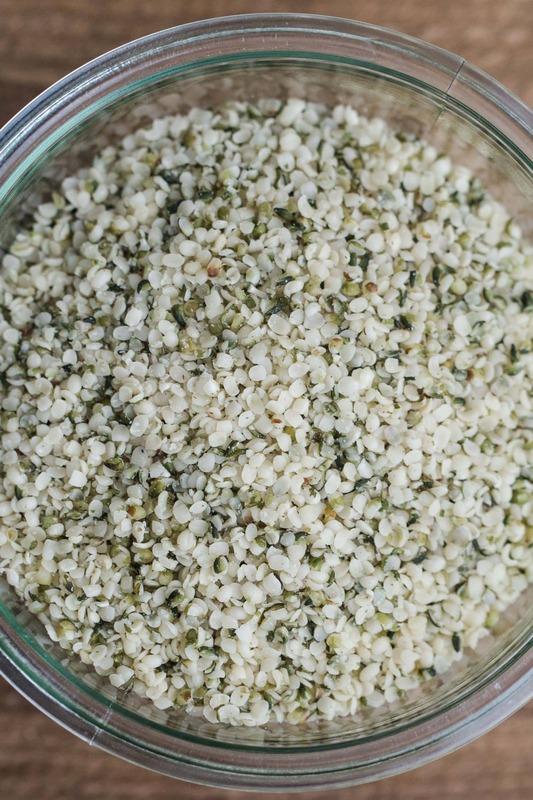 Hemp seeds have been around for quite some time but these nutritional seeds are growing more popular for culinary uses. There has been some confusion between hemp and marijuana: they are the same species of plant but different strains/cultivars and produce vastly different products. Outside the United States, many varieties of hemp are grown specifically for food, fiber, and building materials. 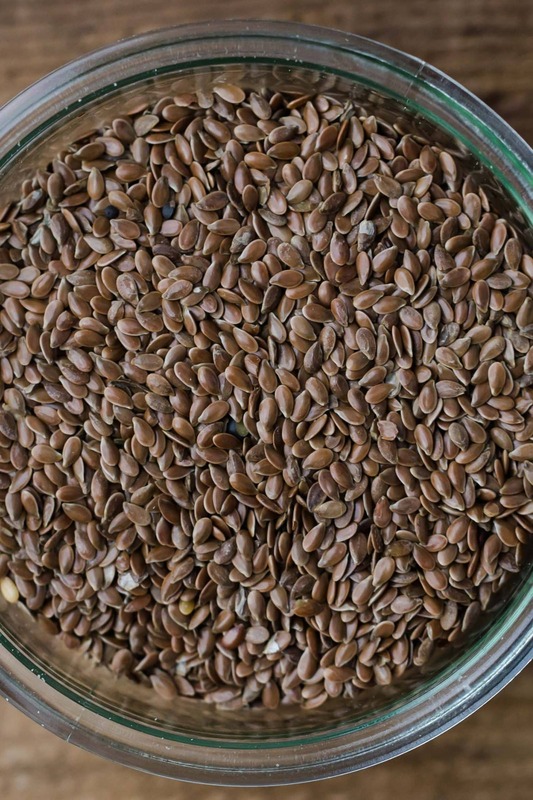 I love to keep these protein-powered seeds on hand as a topping for oatmeal, yogurt, or nut butter toast. They are also great as a finishing seed for pasta, soups, or any other place you might use a nut or seed. A scientific outlier in this group, peanuts are neither a true nut nor a seed of a fruit. Instead, peanuts are in the legume family. However, peanuts are primarily used as a nut, hence its classification in this category. Peanuts grow underground in a shell that contains two peanuts. Most peanuts are sold without the shell but if you’ve ever been to a baseball game, chances are you’ve had the chance to buy a bag of peanuts in the shell. I always have raw, unsalted peanuts on hand to make homemade peanut butter and use as a topping for numerous peanut and peanut-sauce bowls. For longterm storage, buy peanuts in the shell and store for a year. 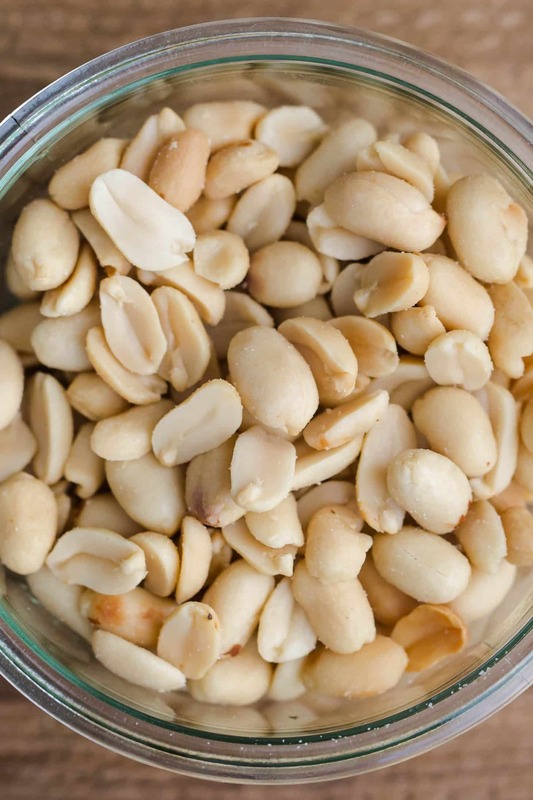 Shelled peanuts will last a few months in the refrigerator/freezer before going rancid. Pecans, similar to walnuts, are the seed of a fruit, but considered a culinary nut. Pecans have a more smooth and buttery flavor compared to some of the other nuts which makes it the perfect addition to baked goods. The United States is the primary producer of pecans world wide. In fact, the pecan tree is one of a handful of native nut trees to North America. Pecans are a great addition to my morning oatmeal or granola. They also add a great crunch to salads. Of course, there’s always the classic American pecan pie. Roasted, savory pecans are also a great addition to fall root vegetables and stews. 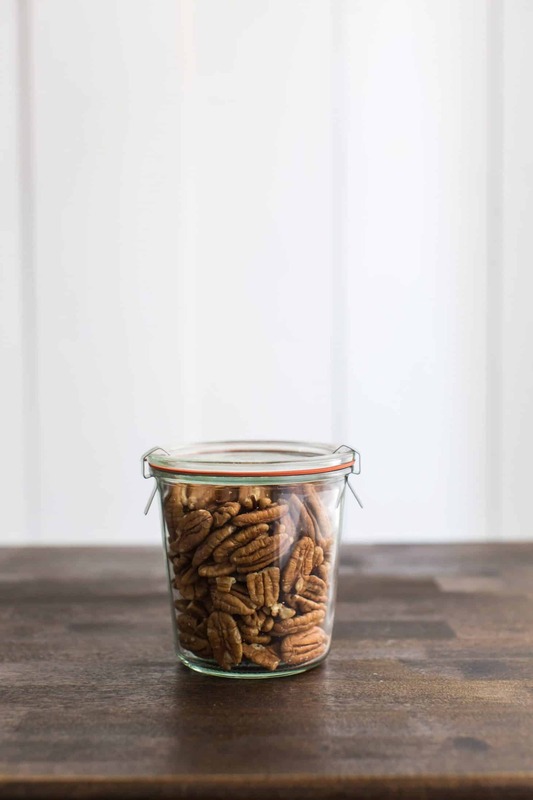 Store pecans in an airtight container in a cool dry place. I treat pine nuts as a very special ingredient in my pantry. I only buy what I need for a recipe and am cautious to not keep the nut around for too long. Pine nuts are actually seeds harvested from a pine cone. Pine nuts are the primary ingredient in a traditional pesto. 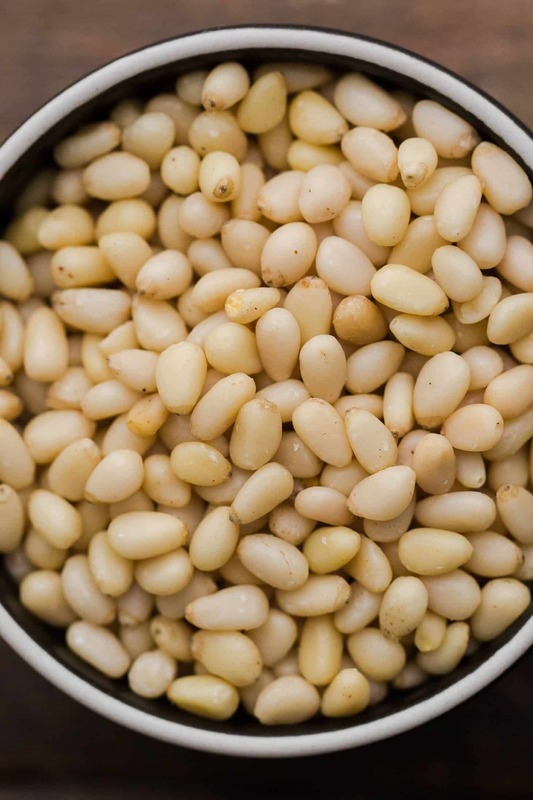 Both baked goods and pasta dishes also benefit from the addition of pine nuts. Just note, a little goes a long way. Pine nuts are grown worldwide. However, I’ve found that imported and cheap pine nuts can ruin a recipe because the flavors are off. Pine nuts are really only good in the pantry for a month and up to 4 or so months in the freezer. If buying from a bulk bin, ask to sample before buying. I was a bit late in adding pistachios to my diet. Over the years however, pistachios have become a mainstay in my pantry. 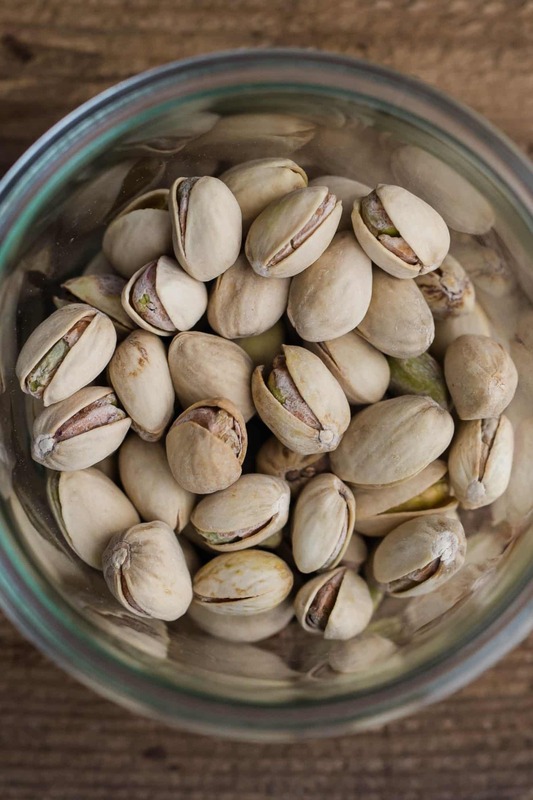 Pistachios have recently become more available on the market, both shelled and unshelled. The green, slightly buttery flavor is great on it’s own. Pistachios are also perfect in baked goods, on salads, ground into flour, or made into milk. Additionally, in the shell, they make a fun snack! Pistachios are part of the cashew family which means the plant grows a drupe and the pistachio is the edible seed of the fruit. To use in a recipe, look for pistachios with shells removed and keep the pistachios in the freezer. These nuts can go rancid rather quickly. Shelf life in the pantry is three months or less, depending on how long the store had them in stock. I keep poppy seeds on hand for one specific home-use: lemon poppy seed muffins or scones. 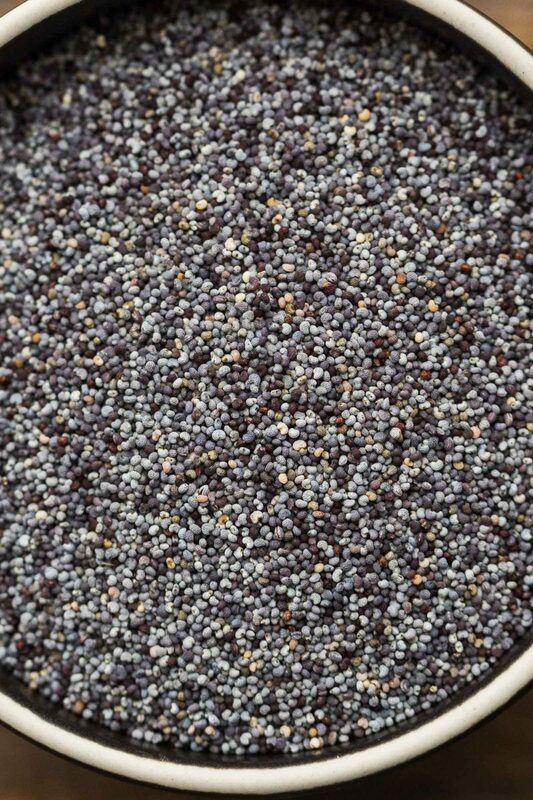 Poppy seeds are used throughout many different cuisines and quite a bit in baked goods. For example, poppy seeds are crushed into a paste and mixed with sugar to be used as a filling for pastries. As a side note, it has been proven that poppy seeds can affect a drug test which you can find out more about here. Find poppy seeds in the spice aisle of your local market. These seeds have a mild, nutty flavor. I keep a small container on hand but don’t use these seeds as often as most of the other seeds mentioned on this page. Store poppy seeds at room temperature for up to 2 years. I usually do a spice clean-out yearly and will refresh my supply at that time. You can harvest and toast your own pumpkin seeds (especially in the fall!) or purchase them raw. I keep them in an airtight container and use them in salads, dressings, or eat them as a snack. 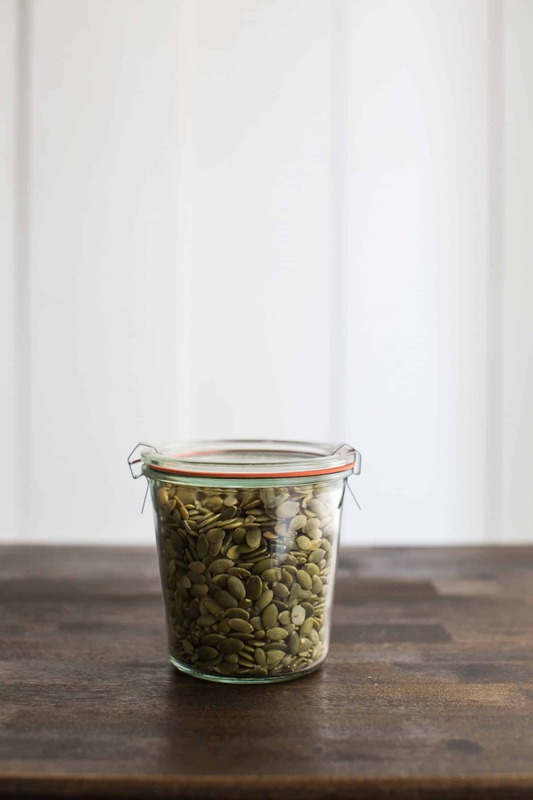 Store pumpkin seeds in the refrigerator or freezer up to one year. I stock quite a few different sesame products in my pantry. But my favorite is the sesame seed. I use sesame seeds in everything from bread toppings (like my favorite sesame seed bagel) to my favorite spice blend (za’atar). Sesame seeds are harvested from the sesame fruit and go through a hulling process. 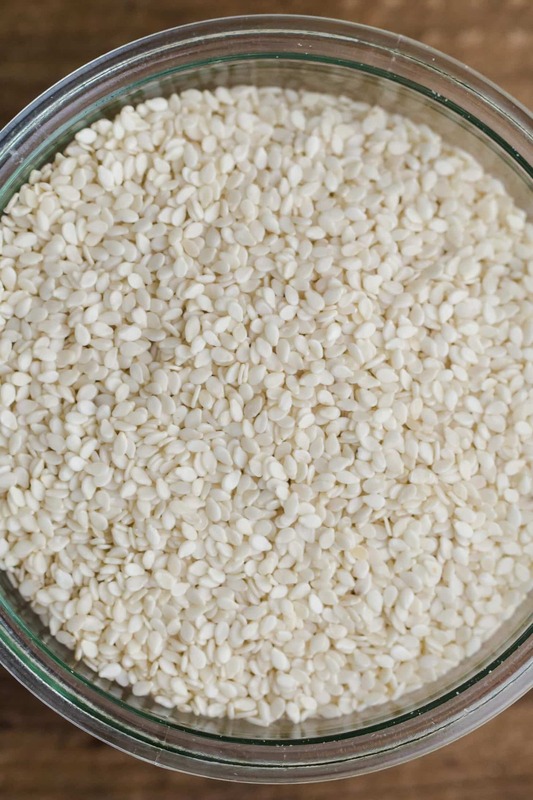 Sesame seeds can be light or dark, but the most commonly sold are light sesame seeds. I keep both black and white sesame seeds on hand. Black sesame seeds still have the hull intact and have a very subtle flavor difference from their lighter counterpart. No matter which variety you choose, toasting sesame seeds enhance their flavor. Raw sesame seeds will last up to a year in the pantry but to ensure good flavor, I recommend keeping a small stash in your freezer. Sunflower seeds originally found their way into my pantry because they were a staple salad topping. Since then, I’ve used them in a number of different dishes. We always have a small stock of raw kernels on hand for using in my favorite burger recipe, as a topping for porridge, and for grinding into sunflower butter. 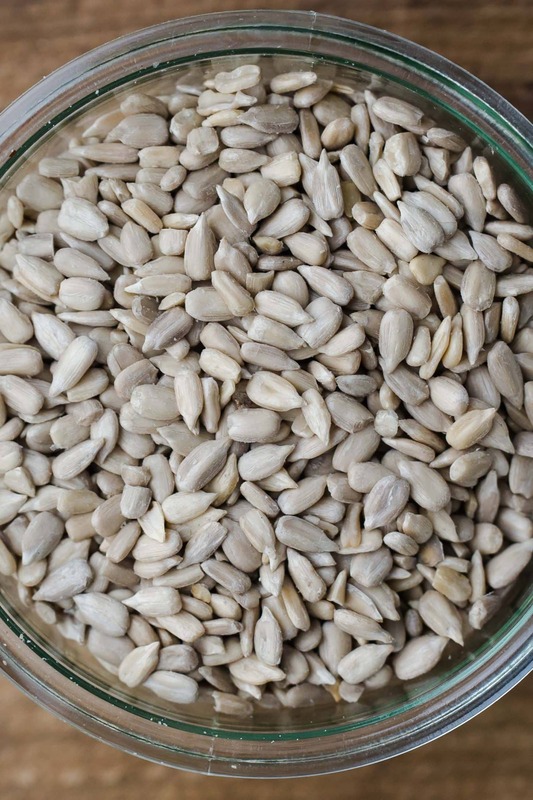 Like other seeds on this page, you can find sunflower seeds raw, hulled, toasted, or in the shell. I find that raw, shelled kernels are the most versatile in the kitchen. Because they have a higher fat content than some other seeds, they go rancid more easily. So, store them in the fridge or freezer to keep them fresh longer. In my childhood yard, we had an old walnut tree that would drop these ugly green balls, about the size of a tennis ball. Had I thought a bit more ahead, I would have collected and dried them out because inside was the most delicious, black walnut. Walnuts are a drupe which means they are actually the seed of a fruit that has three parts: the green, outermost husk, the hard tan shell, and the the meat or what we know as the walnut. There are two primary walnut varieties: English and Black. Black walnuts have more flavor but are harder to shell which means the majority of walnuts in stores are English. I keep a small bag of walnuts stashed in the freezer to add to my morning oatmeal, toss in baked goods, and use in my favorite lentil bites. 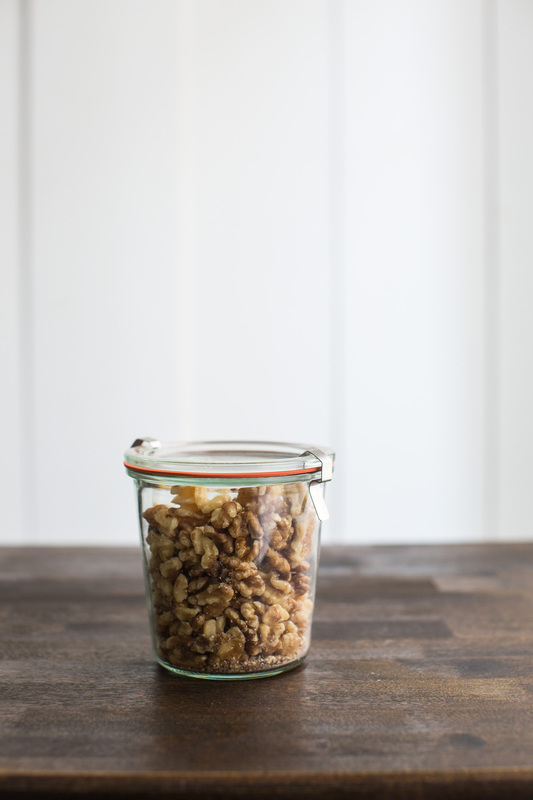 Walnuts go rancid easily, so store in the refrigerator or freezer for extended storage.